Check out some of our most popular teachers near Loxahatchee, FL including Fort Lauderdale, Boca Raton, Pompano Beach, Delray Beach and West Palm Beach. I have been teaching drum for 22 years. I have an earned Masters degree in music and enjoy teaching students of all ages. I am happily married with 5 children at home--4 of them are musicians as well (the youngest is 4).. Students will quickly learn not only the basics of music theory, but will be playing songs as early as their first lesson. It is extremely rewarding watching students have fun, excel, and fall in love with making music. I look forward to working with you. Hello my name is James! I'm a professional musician and teacher from Florida. I've earned my Bachelors of Science in Music in 2017, and have been giving one on one lessons since 2014. I'm proficient in a variety of style of music on the drum; rock, funk, jazz, hip hop, gospel. My goal is to get you playing new beats, fills, songs, and rudiments. Best part is, I've got all the instruments you would to need to play at my studio! Hey, I'm James! I've been playing music professionally since I was a teenager, and I have earned my Bachelors of Science in Music in 2017. Since then I have been very active in music community here in Florida, and have taught hundreds of lessons to students all over the state. I am skilled in playing guitar, drums, bass, piano, and I can even assist in voice and song writing lessons. What makes students gravitate towards me is that I make learning music fun and easy to do. Also, I have every instrument you need in my home studio, so students can get started even if they don't own an instrument just yet. By taking lessons with me, I will provide a comprehensive lessons plan that will help you improve quickly and learn and song or technique you would like! James is very patient with his students. He caters his lessons to his students level. Worth every penny. James is a very thoughtful and patient instructor. I took piano lessons many years ago as a child and always wanted to learn more. James was very reassuring and made me feel comfortable. I finally have the confidence to continue what I started many moons ago. Thank you James! I was not that good with music growing up. Drums and guitar looks so complicated and I was interested. He is very patience. I don't have good rhythm with music! After getting 1 or 2 beats right i was excited! Practice and lessons make Perfect?? I hope so! " I am a drummer with over 30 years of experience and I have played with various national touring artists. I teach my clients at their home, my home or online. I work with aspiring musicians in a wide age range, assorted skill levels and with a variety of musical goals. Some of the musical styles I regularly teach: Rock, Indie Rock, Metal, Hard Rock, Alternative, Pop, Punk, Blues, Jazz, Funk, Soul, R&B, Classical. I can teach you how to go from zero to playing along with your favorite songs in no time flat! Hand technique and control, basic rudiments, dynamics, reading music, time signatures, and most importantly, learning how to have fun playing the drums! Start to learn about polyrhythms, drum tuning, drum beats, drum fills, coordination around the kits, various styles of music, rudiments around the drum set, and more! Really push your complex rhythms. Learn how to be creative and have your own style of drumming, complex fills to effectively communicate and lead a band without words, learn how to solo with various ostinatos and much more! Believe it or not, I've been playing drums since I was 2 years old! My entire life has been surrounded by music and drums. I've been on 2 USA tours and have played in front of thousands of people. My love for music is indescribable. If there was one achievement I'd like to be remember for, it would be giving back to the community by teaching the beauty and creatively of music. My main goal for my students is to absolutely fall in love with music. Music saved my life, helped me grow in confidence and ultimately built a wonderful community of friends I'll have the rest of my life. If your a parent wondering if your kid should study drums; give them the opportunity! You'll never regret it. It develops coordination, confidence, creativity, spontaneity, and much more. If you're desiring to learn drums or maybe you'd like to take your "
air drumming" to another level, go pick up some drum sticks and a practice pad at your local music store and call me. You'll quickly learn to love it, I promise! OPENED FOR MAJOR ACTS: BUDDY MILES, FOREIGNER, DURAN DURAN, TAB BENOIT, THE AMERICAN REJECTS, THE STROKES and MORE! Can't find a teacher in Loxahatchee, FL? given me a great foundation in my rhythm skills." Miami, FL teacher: Chuck R.
"Very patient and kind, great teacher"
Miami, FL teacher: Dillon S.
"Dylan is the best!!!!! So fun...."
"James is very patient with his students. He caters his lessons to his students level. Worth every penny." Miami, FL teacher: James S.
"For a first session I felt comfortable and ready to learn more." 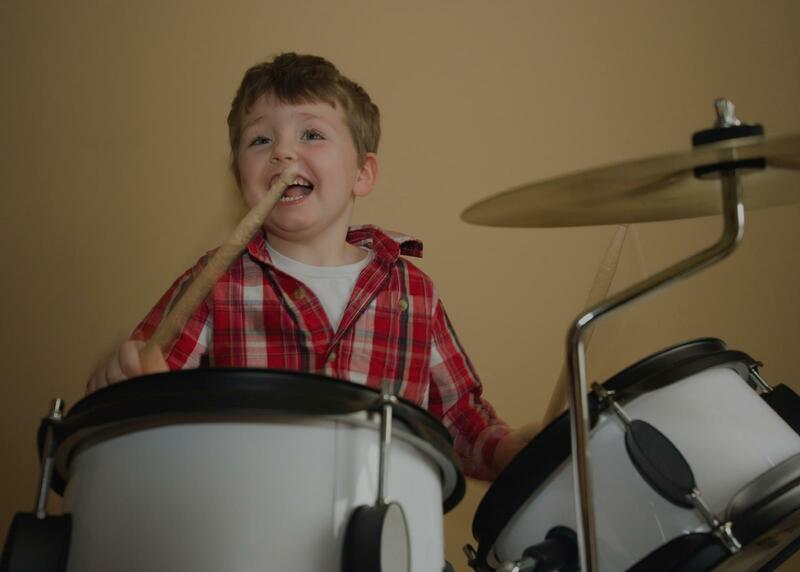 "Looking forward to working with Rene to help my son become a proficient drummer." "Great teacher, very knowledgeable and patient with students."
. I only wish he could be a little better at coming up with an organized lesson plan. Although I have only recently been learning how to play the drums, I have progressed so far in a short time and it's only because of his help. He has been able to teach me in a way that I actually get what he's saying and is able to teach me more then just playing the instrument but also the music theory behind it."